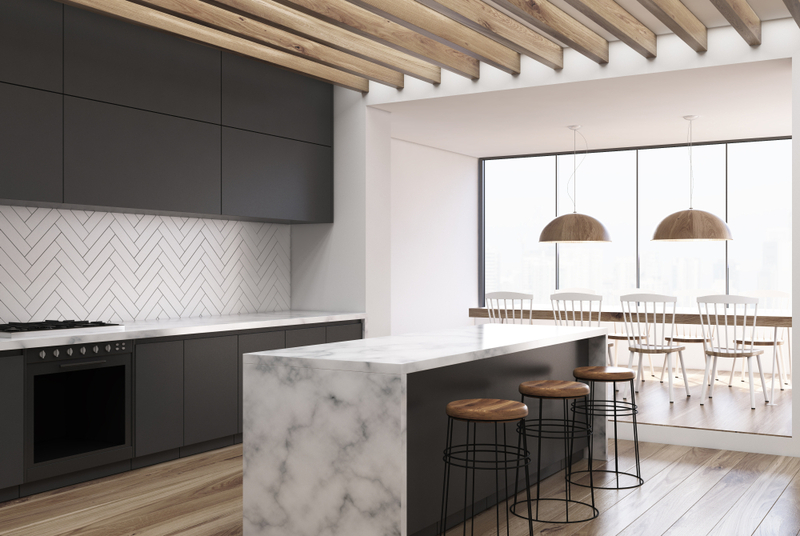 Most homeowners think of standard design needs including cabinets, countertops, backsplashes and flooring when remodeling or building a kitchen. While these components are important, appliances are often chosen as a last priority with respect to a kitchen's aesthetic. Although neutral kitchen appliances have dominated kitchens for the past few decades, vibrant appliances are making a major comeback. Colors in the most unpredictable places, like refrigerators or microwaves, can have a large impact on a new kitchen design. Read on for our tips and suggestions on how to make your kitchen pop with the addition of colorful kitchen appliances. If you like the versatility and conventional aesthetic of stainless steel, but are craving something new, check out black stainless steel kitchen appliances. Black stainless steel looks are edgy and very sleek. Manufacturers like Bosch, Kitchenaid and Frigidaire have reported that this color is resistant to smudges and easier to clean than traditional stainless steel. It’s important to note that not all black stainless is alike, though. Colors range from gunmetal grey to black, so stick with the same brand if you’re going for a seamless look. A similar option to black stainless steel is slate. This color is becoming more and more popular as more and more brands are catching on. Slate is a darker, matte finish with standard stainless steel accents. It is just as sophisticated as stainless steel, but with a modern and industrial feel. In our opinion, slate merges perfectly with most kitchen cabinets, as well. Unlike stainless steel, slate kitchen appliances possess magnetic properties so you can easily display family photos, invitations and artwork on your refrigerator! See slate appliance ideas here. Bright colors are quickly making their way into kitchens again. You might immediately think of the 1950s and 60s, and maybe even cringe at the thought of a mint green refrigerator, but you shouldn't! Colorful appliances can easily make liven up a kitchen and still look modern. Plus, there exists an increasing number of options. Don't believe us? Take it from the experts. Many designers are currently incorporating colorful range ovens and refrigerators into kitchen builds. Homeowners looking for a sharp contrast are rapidly adopting this trend, too. The average person with neutral kitchen cabinets might think vibrant appliances would throw off their entire look, but a shiny red or rich blue can really stand out and make your space striking. If you’re going for something less traditional, you can match your kitchen appliances to other elements in the room such as floor tiles, the backsplash or window treatments. No matter the route you take, colorful kitchen appliances are sure to have a cheering and uplifting affect, though. Viking kitchen appliances are perfect for homeowners looking to create an eye-catching kitchen design. From colors like Bordeaux and apple red to cobalt blue and graphite gray, there is something for everyone. Many manufacturers are catching on to this trend making a wide assortment of colors available. We especially love emerald or blue stoves paired with copper or brass detailing. - and we’re not the only ones. Check out this gorgeous blue range with copper hardware on décor pad. Additionally, a bright refrigerator is a great way to make a statement, and again there are A LOT of colors to choose from. 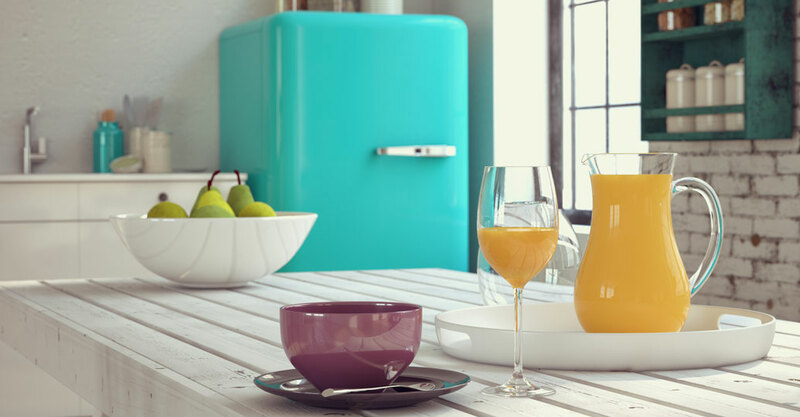 If you’re going for that old-school vibe, companies like Big Chill and Smeg offer vintage styles. Smeg has been gaining popularity for the past few years, and celebrities like Khloe Kardashian just can’t get enough of it. 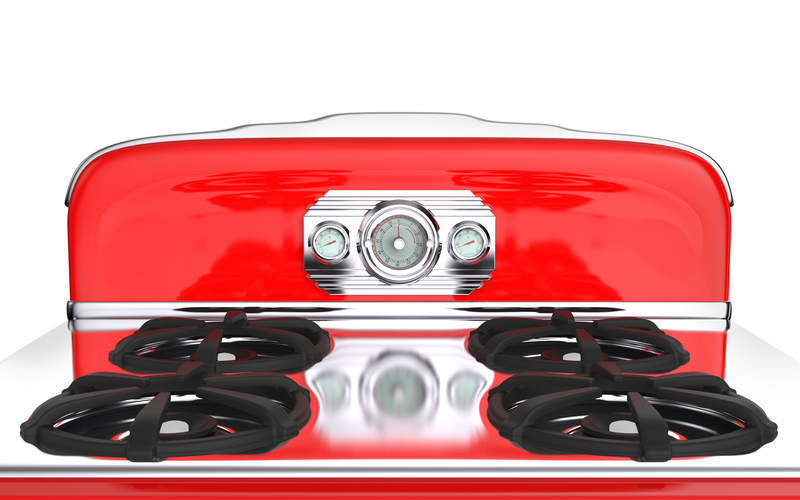 Do you have colored appliances in your kitchen? We’d love to hear how you incorporate color into your space. Leave us a message in the comment section below.